Adam Levine might be busy judging the final rounds of NBC's The Voice, but he still found time to crash not one, but multiple weddings! 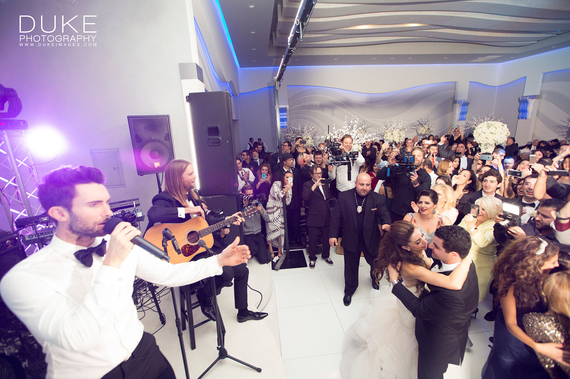 The 35-year-old lead singer of Maroon 5 surprised a few unsuspecting newlyweds by showing up to their nuptials and performing some of the band's hit songs. The stunt was for their new music video, "Sugar," from their latest album, titled "V."
In an interview with Access Hollywood, Levine shared that director David Dobkin came up with the creative concept. The experience was "Really surreal...It was so much more amazing than I realized it was going to be." He also jokingly added that he didn't leave without trying some cake first (as if we needed another reason to love him). 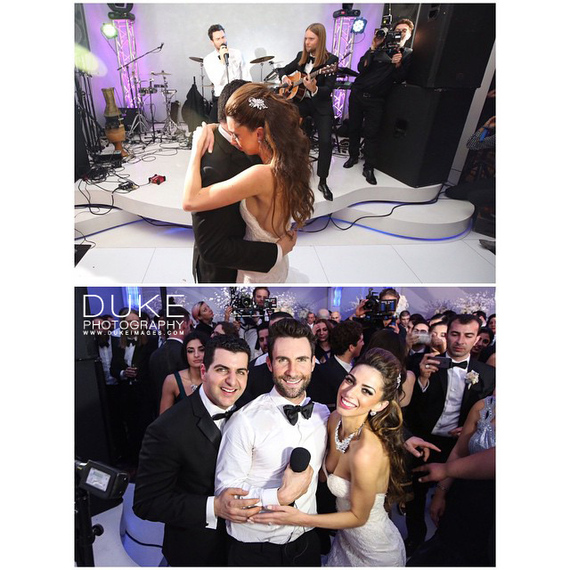 Duke Khodaverdian of Duke Photographyin Los Angeles, California, filmed one of the couple's weddings. He tells us that "it was a surprise of a lifetime for the couple and for their wedding guests, one that no one will ever forget." Levine married model Behati Prinslooon July 19 in Los Cabos, Mexico so we have our fingers crossed that his wedding footage will be incorporated into the music video as well. 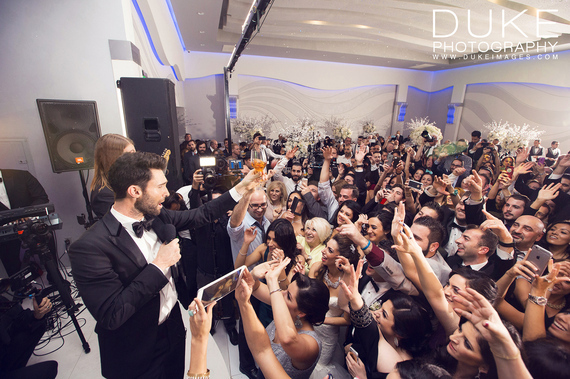 Tell us: If you could have any famous person show up to your wedding, who would you choose?